My son and I enjoy heading to the Long Beach Antique Flea Market each month as it is nice to spend some time together poking around through piles of treasures, and we usually find something cool to bring home. He seeks out old coins and vintage video game gear, and I am always on the lookout for music equipment, old Zero Halliburton cases, and vintage skateboard crap. I have had a good run the past few months, bringing home a 1960s Acoustic brand 260 guitar amp (Jaco!) and a super clean Yamaha BB bass (not to mention a cool od Viking board). 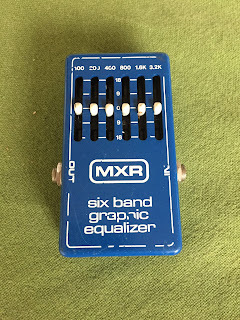 Well, I did ok this month too, as I found a neat old MXR equalizer pedal! Judging by the logo, this one was made in the mid to late 1970s. 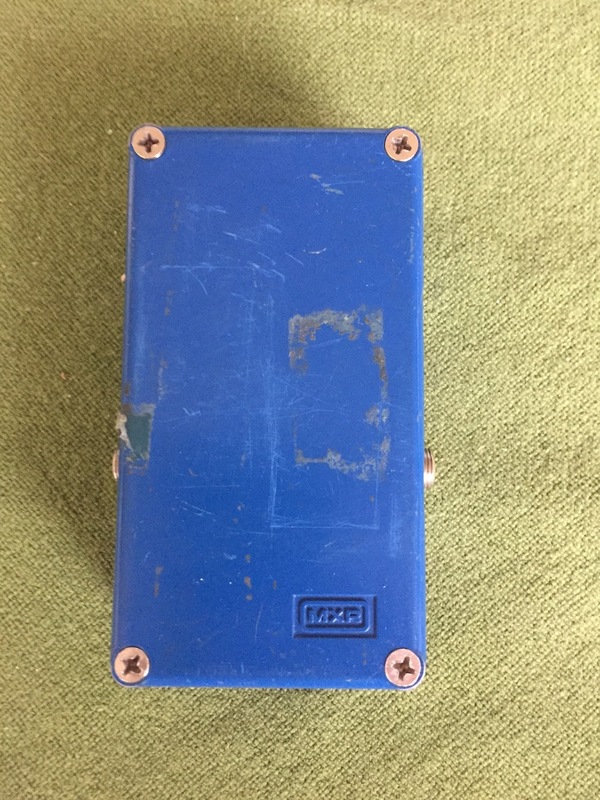 It is on the smallish size for a pedal, measuring just 2 ¾ x 4 ¼ x 1 ½ inches, but it certainly is solid as it weighs in at just a half ounce under a pound. This MXR unit is about as simple as they come, with single ¼-inch input and output jacks, and six sliders. The sliders each provide 18 dB of cut or boost on these frequencies: 100Hz, 200Hz, 400Hz, 800Hz, 1.6kHz, and 3.2 kHz. There is no bypass switch on these vintage pedals, so just plug it into your signal chain and you are good to go. And this 6-band EQ is a product that does exactly what it is supposed to. 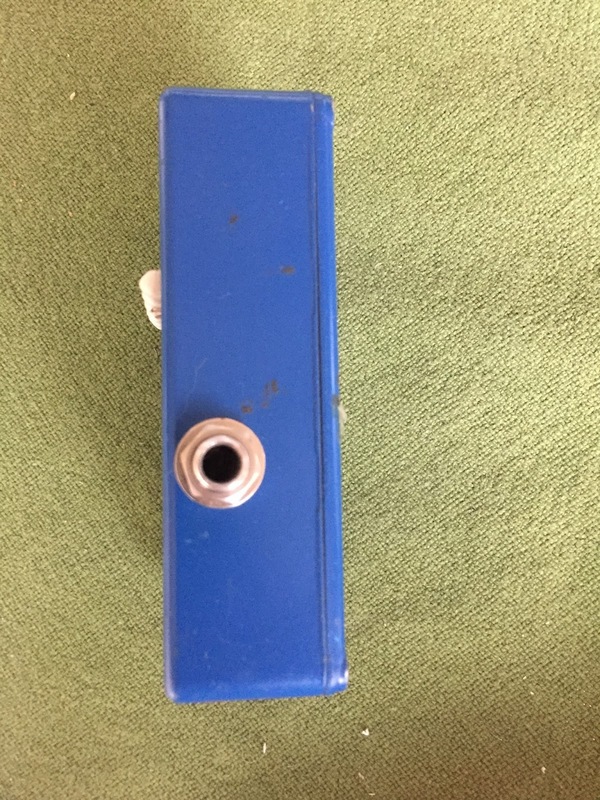 It provides a lot of flexibility to your tone that you might not be able to get with your guitar or amp settings, and it does not color the tone – it is very transparent with no added buzz. 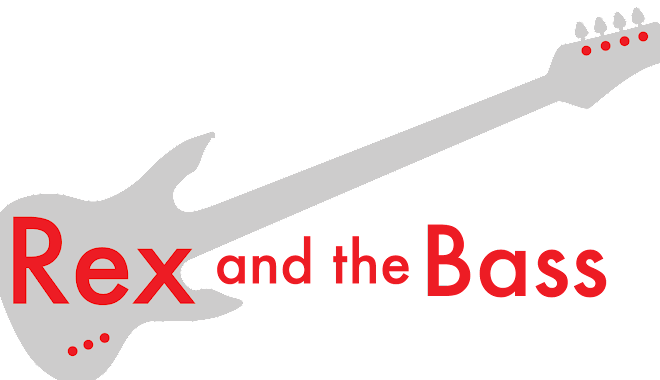 It works well for guitars, and passably for bass and keyboards due to its lack of lower end. This pedal works fine, and it is in reasonable shape for its age with some scuffs and scratches and some flaking of the original silkscreen printing. Amazingly it still has all of the little rubber slider tips, which are often missing on these. It certainly works fine, with not much of anything in the way of added noise to my signal chain, and it is definitely worth the sawbuck I turned over to get my paws on it. 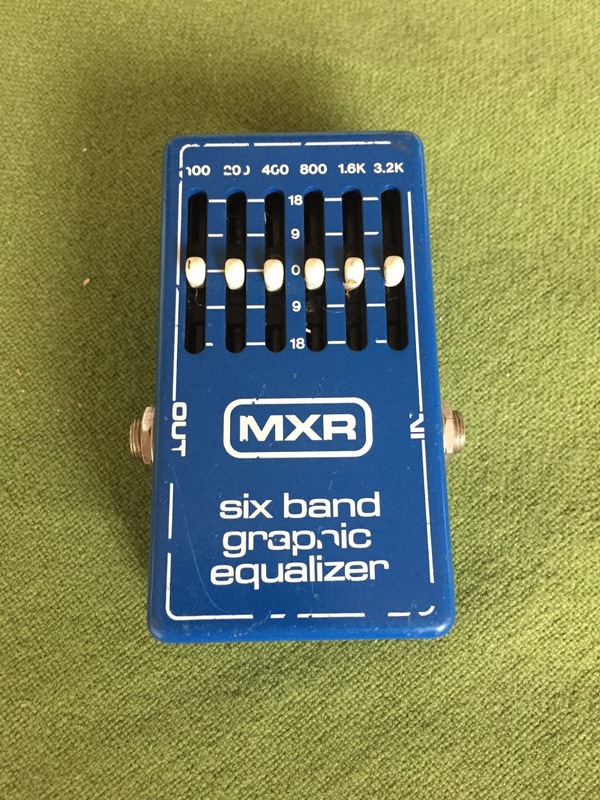 If you need a basic EQ to clean up your guitar tone, you do not need much more than the MXR 6-Band EQ to do the job, and you can find nice ones on eBay for $75 to $100. Or you can buy the brand new updated ones for around $80, but they are a bit more complicated as they added a bypass switch and a clipping circuit, so you have to deal with batteries or an AC adapter.